When we speak with potential clients interested in creating custom eLearning courses, we often find them wondering what is involved in the eLearning development process. Here’s a breakdown of what you can expect during each project development phase. A typical custom eLearning development process consists of these stages. The first step to developing custom eLearning solutions is planning. This ensures that the project starts off on the right foot and addresses key questions that determine an eLearning course’s success. Good planning relies on active communication between the client and the eLearning team. Who is the course for? The audience often determines the best format for the course. For example, people learning Excel skills will probably learn best by watching videos rather than attempting to read through a text-only article. What are the learning objectives? Learning objectives define the goals of the course, and every aspect of a lesson or activity should be tied to a learning objective. Ideally, these goals are SMART – specific, measurable, achievable, relevant, and time bound. What is the scope of the project? Not every eLearning project has the budget to produce top-of-the-line visuals and interactive content. The good news is that not every eLearning project needs the latest flashy design! Your eLearning design team will consult with you at the beginning of a project to determine your budget, hopes, and dreams, and develop the right eLearning course tailored for your particular needs and content. Part of the planning phase is determining generally what content is needed for the course. In the content gathering phase, the eLearning team will actively collect, sort, synthesize, and organize the course content. Content will likely come from several sources, including online research and subject matter experts (SMEs). An SME is an authority on what it takes to do a particular job or skill. Typically, instructional designers will interview SMEs using guided questions to ensure the most essential information is collected. Part of the team’s job is to separate the “need to knows” from the “nice to knows” in order to streamline the eLearning course and improve the learning experience. What is the structure for this particular custom eLearning course? Your team will create templates as placeholders for each major component of your course. If you will be designing multiple courses, templates are especially important to provide the same look, feel, and branding across all of your eLearning solutions. Even if you only plan to develop a single course, template placeholders insure that no major parts of the course are forgotten during the design and development phases. If you’ve previously offered this course in a face-to-face classroom, you may feel constricted by the classroom course structure. Developing eLearning templates helps you take a step back and reorganize your content so that you provide the best learning opportunity for your users. Templates typically consist of blank placeholders that mark the important elements of your course, such as the course welcome, objectives, and assessments. The design team may also develop several layouts for your templates. At this point, they are not determining what content goes where or assigning text and media elements. Rather, they are creating a few common layouts that can be repeated throughout your course to keep things interesting while still ensuring consistent structure. Storyboarding is the point where your design team decides what goes where and in what order it should go, using the content they’ve collected and the templates they’ve developed. Storyboarding is fundamental to the development of your custom eLearning course because it is the master plan that everyone follows as they develop multimedia content, assessments, scripts, narration, and all the other details of the course. You and your SMEs will help review the storyboards to ensure they deliver the learning experience you expect before any content is created. Although storyboarding needs minimal technology, it requires a great deal of creativity and thoughtfulness from your design team. 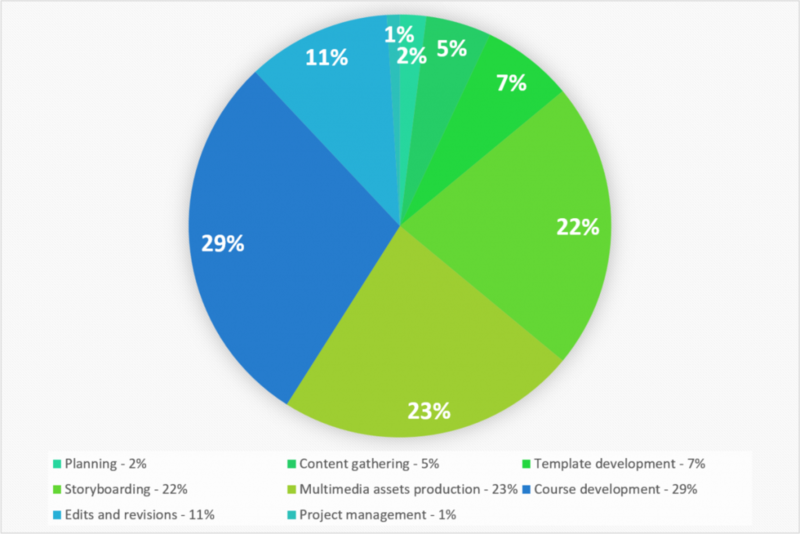 At this point, your team will use your hopes, dreams, and budget to determine which course development and multimedia tools are most appropriate for your course delivery. With the course planned and storyboarded, custom eLearning development can begin! There are two major parts to development – creating multimedia assets and building other components of the course. Depending on your budget, interests, and most importantly, your content and learning needs, multimedia may range from simple narrated slides to interactive modules and simulations. Using the templates and storyboards as their guides, the development team will create the course media content, write scripts, record narration, and create interactive elements. Creating effective, appealing eLearning multimedia takes time and expertise. A skilled development team will have an arsenal of tools to develop your content, such as Adobe Captivate, Articulate Storyline, and Adobe Edge Animate. In the planning portions of course design, your eLearning team determined the blueprint needed for your course in order to effectively meet your learning objectives, which became the course templates and storyboards. During course development, the eLearning development team follows these blueprints to fully lay out the course. This includes creating all of the course’s structural elements such as a welcome message, content framework (like a table of contents), text elements, and a course summary. Course development also includes creating assessments, which might include a formative quiz to determine what the learners already know, midpoint knowledge checks, and a final quiz to assess their end-of-course learning. The developers will also weave in all of the multimedia assets so that the course moves seamlessly between modules or topics. Your eLearning team will check in with you at several stages during the project, as outlined in an initial development timeline. This is your chance to provide feedback and suggestions, which will be incorporated into the course before it is final. Most eLearning companies in the US also build time into the development schedule to receive client feedback and ensure revision time before the final project deadline. Of course, you want your job completed on-time and at (or under) budget. A small portion of the eLearning team’s time is spent on time. This includes communicating and meeting with you to determine the schedule and budget, defining the project, making sure that project milestones are being met, providing status updates, completing the project, and ensuring you are happy with the results. All of these phases add up to an outstanding custom eLearning course that meets the needs of your learners and takes your course delivery to the next level. Beth Shepherd is an online education specialist for a large US university. 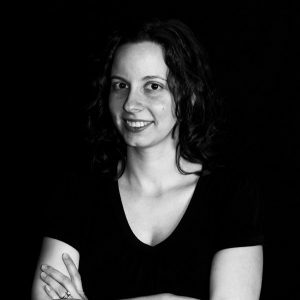 She has over 8 years of experience helping faculty and students navigate the world of online course design and delivery. She’s a writer, researcher, and avid list maker. You can find Beth on LinkedIn.